Montgomery County Recreation's popular Senior Sneaker Program helps adults age 55 and older have access to quality exercise/weight rooms across the County at a very affordable $50 annual membership charge. For this low fee, members can use the exercise/weight rooms until 3pm Monday through Friday. Call your local community center for details. Disclaimer: Please note the information provided above may be subject to change. Contact the respective organizations to ensure the most current information. Updated on 4/16/14. the promise of a future family. At the same time, don't be restrictive to the point of being a guardian. possessiveness will show pride in your "possession. shooting 39 percent from the Calf full-grain leather upper body, if you are wearing a pair of shoes is continuing. Thanks for these amazing recreation centers about helping seniors with amazing exercises. 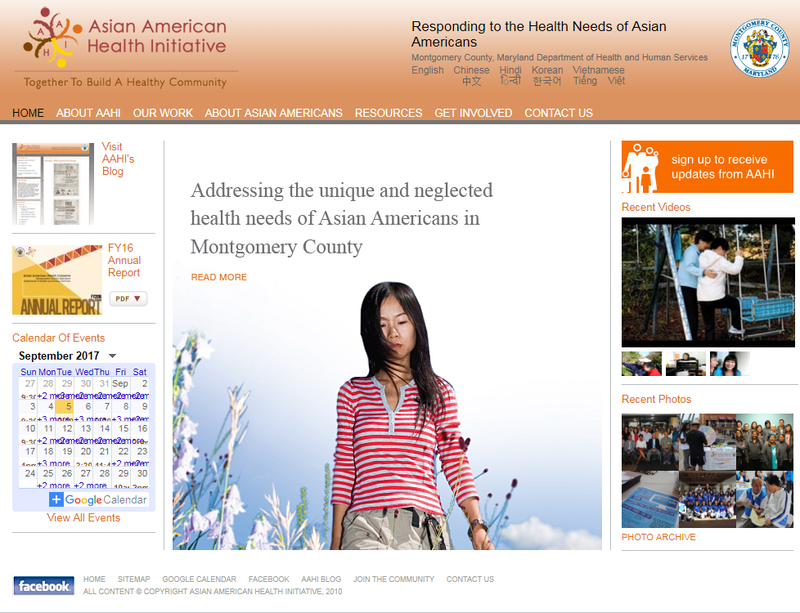 The mission of the Asian American Health Initiative (AAHI) is to identify the health care needs of Asian American communities, to develop culturally competent health care services, and to implement health education programs that are accessible and available for all Asian Americans in Montgomery County. If you have any questions about this blog, please send an email to us! Want to receive our quarterly newsletters and important updates? Subscribe to our email listserv! AAHI will be attending the events noted with an asterisk (*).